We offer white label affordable SEO services Sydney – perfect for business or digital agencies or re-sellers with one a of a kind guarantee. 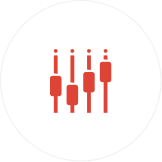 LCS improves your leads based on agreed KPIs – something other agencies don’t have the nerve to do. Do you want to work with a leader in affordable white label SEO Sydney Services, then read on. Whether your after a outsourced SEO solution or just basic Google ranking, LCS is small enough and personal enough to look after your business, so if you want low cost SEO come and see us when you need an SEO service, and if you want high cost SEO services Sydney, then go and see our competitors. 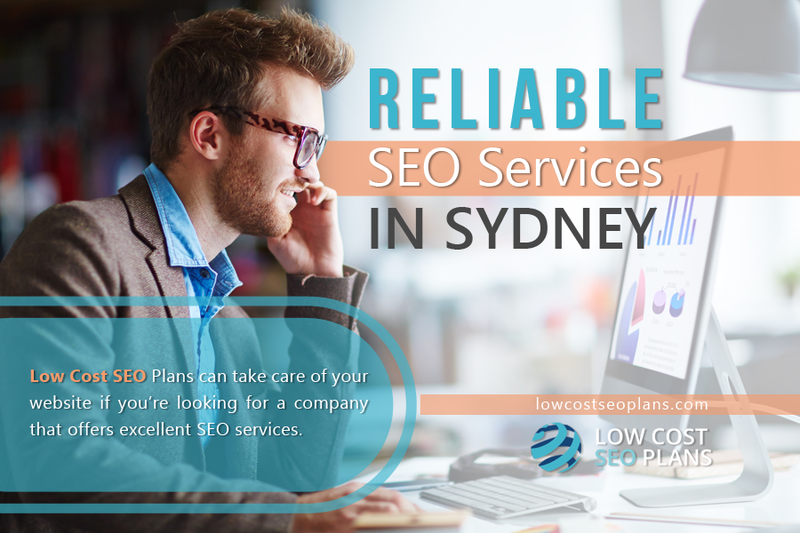 At the same time we are backed by SEO service professionals in Sydney, Australia and across the globe; we can provide support through our 24hr business model, this also makes our SEO company extremely affordable and we don’t compromise on our quality of work and we always deliver results, despite the scare tactics other agencies use, we actually get you results others don’t know how to get. Ok, so you want someone to drive business leads, a team who can actually deliver traffic growth and conversion for a reasonable ROI. Someone you can see face to face monthly – with SEO reporting included ! Its time to stop getting ripped off and work with someone who can actually get you more business – see our reviews or speak to our customers to confirm we are the real deal! You can also view our case studies. Its time to do better and worry less about your SEO & Digital strategy. Our low cost SEO services will tailor you a service package to ensure your business ranks on or towards page one, and we never implement “set and forget” strategies. Our strategies evolve as your site evolves and moves up the rank on its way to page 1. 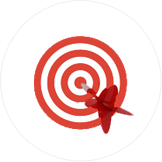 With this, we can guarantee you that your brand or your clients’ brands will become highly visible to your target market through newly acquired quality leads, and you’ll reap the rewards from our on-page optimisations. If you need google rankings and leads, contact us or visit us in our Sydney office. LCS offer affordable marketing solutions in Sydney with high ROI and the most dedicated personal care for your business. See the best solutions we offer below or call us to find out more. Well organised content creates great on page search engine optimisation. 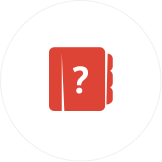 What would good content be considered to be? From a page optimisation perspective in our opinion, all good content is influenced by three major attributes, demand for your content and the content must be linkable and give people a sense that they want to share it. Our company provides a unique mix of local content marketing strategies that make your website content friendly, helping you win business and keep it bringing in more traffic and positioning your business at the top of your industry. 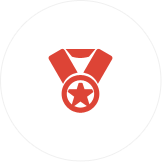 So if you want to rank in three pack google listing we are the right people for you. We provide Organic search engine optimisation Services through White Hat search engine optimisation (SEO) Techniques to make sure that your website never gets penalised or sandboxed by search engines! Just in case your not sure – white hat means we don’t try and hack or spam the system to get you immediate results in an forbidden way thus risking your business being penalised by Google. We help you create partnerships with other sites, because if someone hosts your content or recommends you, then generally your site is worth doing business with. Keep in the know, with up to date reporting and Google Analytic for your site. We provide you with detailed, regular reports so you can track your website’s performance. Our specialist services are here to help . The great thing is using our business model you have support around the clock. When you appear on the first few pages of Search Engine Results Pages (SERPs), you become more attractive to potential customers who will usually check out only those business names that appear at the top page rankings. The business advantage to being on page one is it gives you brand credibility, people will find out your a trusted business and worth doing business with over the long term. It the goal of our SEO Sydney services to advance your business to the top ranks of Search Engine Results Pages for all major search engines, all our activities are geared towards attaining this ultimate goal. 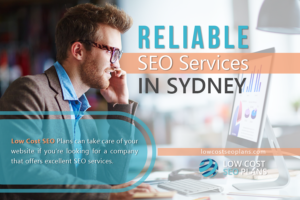 We guarantee that without compromising quality, we offer the most cost effective outsourced SEO service in Sydney, Australia with dedicated personal care for your business. This is because our staff are highly skilled and committed to taking care of your business services as if it were our own. To put it simply, we have the right professionals who will do the job for you and who will be with you throughout the duration of your campaign – from the start to finish. Moreover, we will be there for you whenever you need assistance at any point of your journey in the business world. Why should you employ us for outsourced white label Sydney based SEO Service over the other sheep? 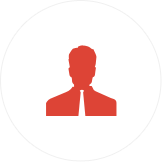 We readily cater to our clients concerns as required and work with them one on one and face to face as our company is comprised of highly dedicated team members, most of whom have over 8 years of experience in the field and are equipped with the knowledge and technical support needed to successfully work on your site. We have been in business for a good number of years, and we have satisfied the needs of numerous clients across Australia. In fact, they are now enjoying the prestige as well as the profits brought about by excellent search engine optimisation activities. We also take pride in the way our staff members show professionalism, and we guarantee to deal with our customers in the best way we can. Thus our process is to listen to what you want us to do or come up with, then we discuss all the possibilities with you and after everything is finalised, then we start with the SEO campaign. All you have to do is continue with your business activities and enjoy seeing your traffic as well as sales increase as we handle the SEO process. Then, about a few months after starting the campaign and depending on your competitors SEO efficiency, you can see your brand rising to the top spots of the search engine results pages (SERPS). By then, you can definitely tell that your investment in us is truly worth it. The secret? Entrust your campaign only to a reliable Sydney SEO Service provider with a track record of helping many businesses succeed after implementing effective search engine optimisation strategies at reasonable prices. We also believe we lead by example through our customer results in proximity based search engine optimisation, so you will be found in your local suburb and Australia wide. Most likely, a company that’s right near by has already herd of you, and they can help appropriately with what you want to achieve. Having a mutual understanding of how both companies work will help in your efforts to succeed in SEO. Chances are we already know the SEO keywords you can use and how efficient these can be in your area. Starting a company and establishing a good name is not easy to do in Sydney. This can be one of the best reasons why good companies don’t put their name at stake. That is a big reason why we make sure we deliver our services so that they always benefit the customer and we guarantee that ; this means that you can expect that we will help your business succeed locally. One great thing about hiring a local SEO Services Sydney company is that we know the trends used in your locality and knowing an area’s demand will helps us figure out the right strategies that can work for your business. Using a company that specialises in SEO Sydney Services in your locality is a good idea. LCS is conveniently located in Rozelle and near you if you are located in Sydney. SEO Services Sydney Note: How are our solutions implemented ? Small incremental improvements are made over a period of a few months which results in healthy performance in organic search results. LCS’s employ methodologies, strategies, workshops and tactics used to increase the number of customer leads to a website by obtaining a high-rank placement in search engines – including Google, Bing, Yahoo and other search engines, and high domain authority backlinking from quality sites and blogs, as well as improve the social media signals and click through rates (CTR) belonging to your site. Put your best foot forward by concentrating on writing “Quality Content” that serves the end user and benefits their cause. Even small sales sites can offer snippets of information that help the general public in the terms of their business’s specialisation, so use this. Satisfied we can help you? – Contact Us Here. Link building still counts for 30-40% of overall SEO ranking as per Moz research data. We use varied link building strategies and make your link profile keep NATURAL – people are hit by Google because they do silly things and cut corners or use PBNs that are not allowed. We target your content where the customers are and where we can naturally and organically build relationships to your site. 1. Facebook – 12,800,000 users according to Ad tool, 12,000,000 monthly Australian users. 7. Twitter -2,500,000 Active Australian Users. 8. Instagram -1,600,000 Active Australian Users. 9. Snapchat – 1,070,000 Active Australian Users. 16. 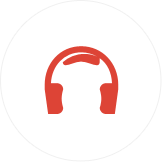 Google Plus – approx. 70,000+. 17. Stumble Upon – 65,000. What we don’t do in our offerings! Whenever you come across SEO firms that promise cheap and quick and easy results for a few hundred dollars, ask yourself, how many hours are they dedicating to the job? Will you then need to spend more hours mopping up the bad work, chances are they will be using black hat techniques in one way or another. These are aggressive approaches which are contradictory to proper SEO strategies and against Google best practice documentation. Some examples of black hat SEO include keyword stuffing, literally ‘stuffing’ or repeating certain keywords on a web page several times; invisible text, which hides the repeated keywords, such as by making the text the same colour as the background; and doorway pages (external landing pages with lots of links on them), the sole function of which is to boost the number of visitors or send them to your site. If you’re starting out with a website for your growing business with zero back-links, you might have the impression that optimisation results will occur immediately. Think again – even if you do employ legitimate techniques (which you should be doing), it would take some time to see the fruits of your labour. Just how long you might ask? Usually about 3-6 months for certain terms or phrases, though don’t worry if it takes up to a year, sometimes this may be the case if your competitors already have 2 or 3 years of SEO ahead on you. In short, be prepared to put in lots of time and effort to get the results you want. It definitely won’t happen overnight. Needless to say, plagiarism is a big no-no in SEO, lots of SEO companies like to copy the strategies of other companies, they use their SEO Sydney services like hyenas. Your site’s search ranking will likely free fall sooner or later when you do this – deep-mind has records and history of who wrote what when; or sooner or later you will be de-indexed – in other words not appearing in search engines. Plus, there are many plagiarism checkers out there, some even free, so there’s no reason why other people’s work should appear on your site. SEO is much more than including the perfect keywords in your metadata. Having engaging content that people would want to read is an absolute must. In the past, you could get away with keyword stuffing and other illegal tactics, but nowadays, Google and the other search engines have upped their game. They reward sites with interesting content by placing them on the front page of search results, increasing their visibility and credibility. Good content and good SEO are two sides of the same coin; you can’t have one without the other. More and more people use mobile devices to access the internet. As a matter of fact according to Google, mobile searches exceeded those performed on desktop computers in 2015, quite astounding considering these devices haven’t been around as long as the humble PC. To increase the pressure on webmasters to optimise their sites for smaller screens, the search giant released a new mobile-friendly algorithm in April of last year. In essence, it gives priority to websites that are easy to view and navigate on phones and tablets, ranking them higher in searches. Having a responsive web design which displays differently depending on the screen size is essential. Not only will it mean a consistent browsing experience across a range of platforms, but also less work for developers as there’s only one version of the site to maintain. If you haven’t made your site mobile-friendly yet, now’s a good time. If you would like to know more about our affordable Services, then give our company a call, its risk free, we are here to help and answer your questions!